You want a bike for road riding, training, and racing, fast touring, or some combination of these activities. You want it to have appropriate road attitude and handling appropriate for the job. 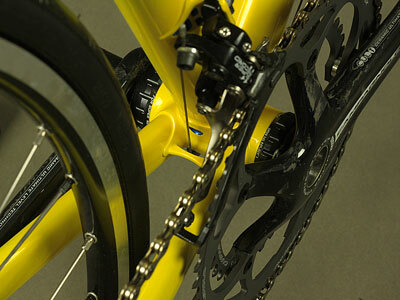 You can order any of the Llewellyn models with road bike geometry. Road bikes include bespoke road geometry for your style and fit, water bottle bosses, and accomodation for brakes front and rear. Complete bikes are available on request. Click on the bike model name to go to the model page. 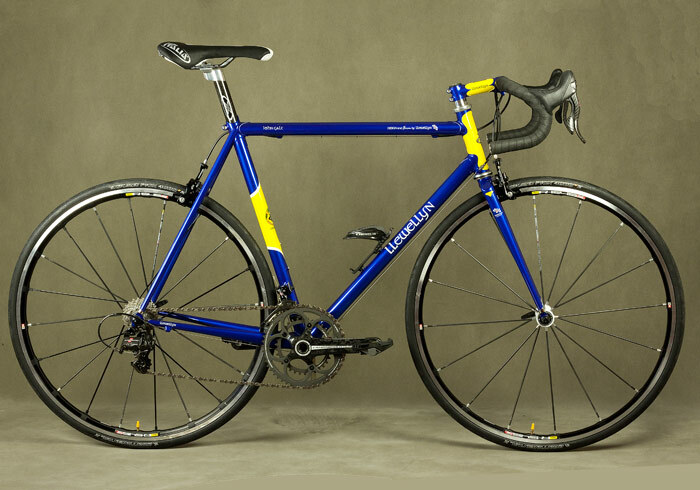 Now smaller lighter riders can also enjoy lug constructed frames with compact geometry Custom made to measure lugged frames constructed using Llewellyn proprietary design and produced OS compact lugs. Constructed with with “Columbus Spirit for Lugs” OS diameter tube sizes. Also available in Lucentezza finish. 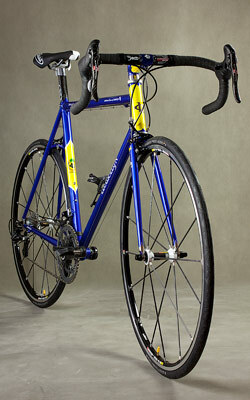 The same frame as the Cadenzia but with a sloping top tube. Constructed with XL diameter tube sizes for big and or solid riders. Also available in Lucentezza finish. Fillet brazed with a sloping top tube. A momentary departure from lugs. Constructed with large tube sizes for big and or solid riders.